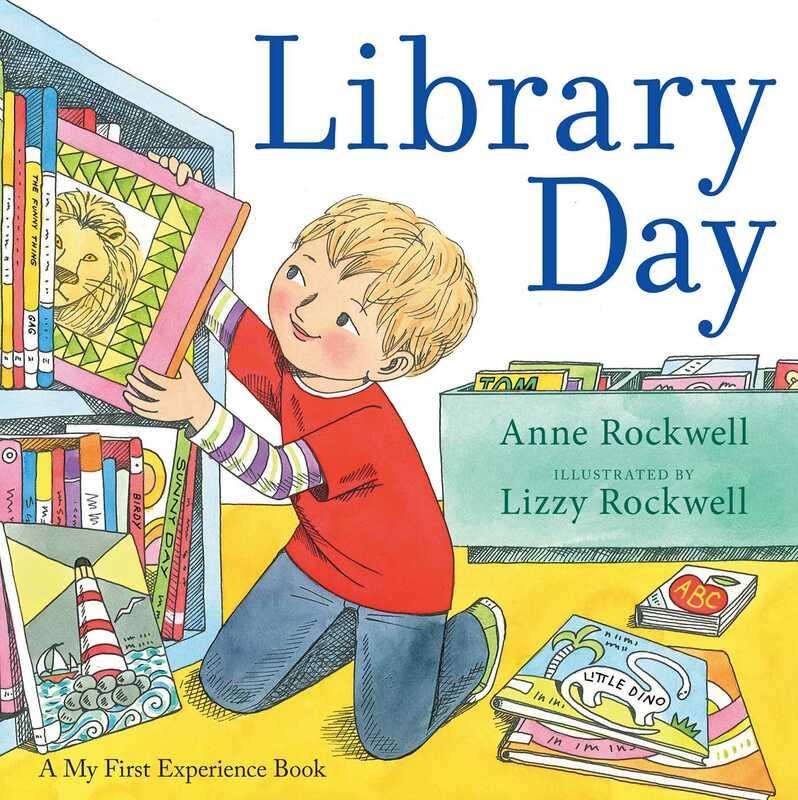 Beloved author Anne Rockwell celebrates books, the love of reading, and of course, libraries, with a gorgeous new picture book about a child’s first visit to the library! One day, a young boy visits the library for the very first time. While he’s there he listens to stories, reads books and magazines, and learns that there are also movies, crafts, chess, and puppet shows—something for everyone! With simple, lyrical text and bright illustrations that jump off the page, Library Day brings the joys of reading vividly to life. Lizzy Rockwell's clear, colorful, child-friendly watercolors and her mother's accessible text combine to create a read-aloud that will work equally well for home or early childhood group settings. Calling all young children to libraries everywhere. Readers will certainly finish the book with a solid sense of the opportunities that await at the library.